While not everybody loves their car enough to get regular maintenance, most European luxury car owners understand the value of preventative car maintenance. A regular preventative maintenance visit can save money and extend the life of your vehicle. Many owners depend on a professional auto technician to help keep their cars running in top performance. Cars have become so complicated, you need more than basic tools to fix it. OBD, or On-board diagnostics, a term referring to a vehicle’s self diagnostic reporting capacities. These OBD systems reveal the automobiles health data for various vehicle subsystems. Over the years, the amount of diagnostic information has varied depending on vechicle. Twenty years ago, the OBD was pretty basic in that it would just illuminate malfunctions by an indicator light, leaving the technician with a many questions as to diagnostis of the nature of the problem. Now, OBD’s use digital data ports to provide real-time data and diagnostic trouble codes–the nature of the problem. This allows the mechanic to quickly identify and repair automotive issues. If you are new to owning a vehicle, know it comes with responsibility of more than just changing the fluids. Car owners should at least have a fundamental knowledge of automotive terminology and recognize signs and symptoms of trouble developing. If you have been driving the same vehicle for any length of time, you know your cars language, it sounds and feel. How many times have you heard this story? A woman tells her mate that she hears an unusual noise in her car. The mate, gets in, drives the car around listening for the offending noise and later reports on arrival home that he doesn’t hear anything out of place. Two weeks roadside assistance is called to rescue to the woman who was concerned about the noise in her car. Many times these noises are signs that symptoms of car trouble will soon start. When drivers schedule preventive maintenance, these potential car troubles will most likely be discovered. Preventative repair can frequently save 1000′s of dollars down the road in the mechanic’s shop for a more serious issue. Preventive maintenance and preventive driving behavior can minimize the likelihood of your vehicle wearing down. Believe it or not, regular car outings that are under ten minutes of driving can be detrimental to your vehicle. That sounds odd right? Well, your car actually requires more than 10 mins engine run time to get rid of water vapour produced through the engine heating. Water that’s not removed will collect within the engine and promote rust as well as escape in to the oil where it impedes ale the oil to lubricate the engine. Now you can say you learnt something new today. While we are learning about car liquids, there is more than oil to maintain in your car. Periodically schedule a transmission fluid is flush and new fluid added roughly every 60,000 miles or what ever your car warranty guide recommends. The differential fluid ought to be transformed simultaneously. This can keep your drivetrain working correctly and avoid transmission premature ageing due to dirty fluid. Just remember, the noises you hear as well as the warning lights that are suddenly lit suggest there’s an issue that requires immediate attention. Sometimes you’ll receive a visual early warning that the engine might overheat before warning dash light turn on. It’s not a bad idea to take a walk around your car occasionally, take a quick peek when you pull away at where you were parked, or look under you car periodically. If you notice a puddle of fluid underneath the engine, don’t ignore it. This kind of sign might help you determine what or where your car problem is originating from. Not every puddle indicates an issue. If you just drove the vehicle with the air conditioner on, a smallish puddle might form underneath when you are parked or stopped. That’s quite normal, it’s just condensation and water. The car servicing and repair business uses lots of different acronyms which you may hear or see on your receipts. These are just a few of the more common acronyms, there are hundreds of them in the auto business. Just as you would choose a doctor for yourself and family; one whose opinion you trust, a person you can talk to easily, one with a good reputation–it’s a good idea to do the same for your cars health. The ultimate car mechanic is trustworthy, will talk to you honestly and explain auto problems in layman terms, doesn’t take advantage of your lack of car knowledge and has reasonable prices. 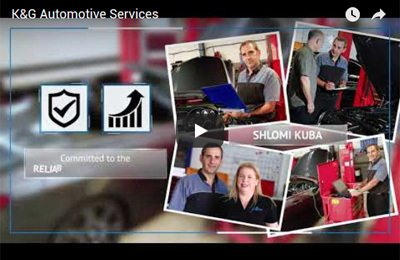 A trusted vehicle repair shop can help you save money and give you peace of mind. If you don’t already have a car mechanic that you schedule preventative car maintenance with regularly, it’s time to start thinking about it now–before you have that dreaded car emergency.